As mentioned here my own, real, original 1983-buyed Sinclair ZX Spectrum 48K (Issue 2) did not well stored away in a damp cellar the first years. 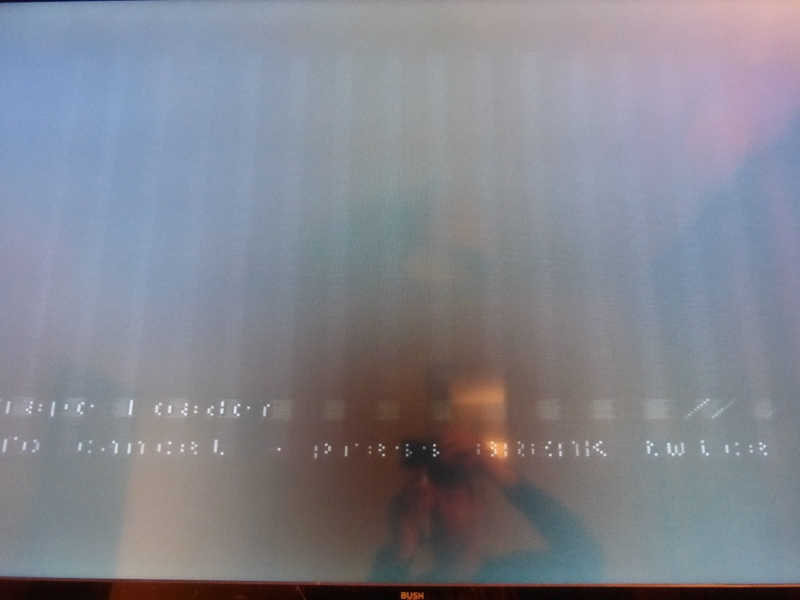 The power supply doesn’t sound good, either – humming away with roughly 50 Hz. 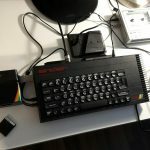 While doing my journey through my old soft- and hardware I used two newer ZX Spectrum + systems. 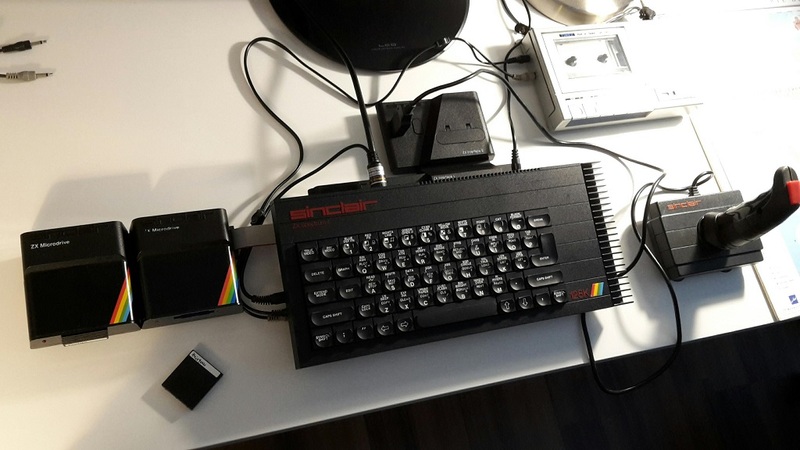 While doing that I were able to get hold of my 1986 dream machine (which I sadly could not afford back then): A Sinclair ZX Spectrum 128 – the famous „Toastrack“ model (Version 6U). The 128 model was the last real Sinclair computer before the company was bought by Amstrad. Being cheap it turned out that this computer were not in perfect shape as well. It kind of worked better than my old Issue 2 machine but had problems to actually display something. 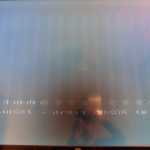 I were able to „display“ something by radically tuning up the contrast setting at my monitor. Some clever people from the SPC forum remarked that this might be due to a internal voltage problem. I decided that both Spectrums need love and care from someone who knows what to do. So I sent them back home (Great Britain) to Mutant Caterpillar. Under Ian Gledhill’s healing hands both are up and running now. Beneath changing faulty parts he did some very nice modifications to the machines. I.e. the 48K system now sports a „full composite modification“, has a soldered and a heat sinked ULA. Perfect! When having them back home (at my place) I wired up the ZX Spectrum 48K, attached the dk’tronics Dual Port Joystick Interface (incl. the fire red Competition Pro joystick) and played Jetpac. Pure emotion! 😉 Thanks Ian! 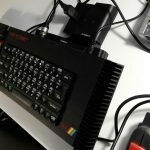 After that I sat up the ZX Spectrum 128 – a complete new machine to me. I played a littlebit with the menu and rushed through the ZX Spectrum 128 Introduction booklet – especially the sound/music part. 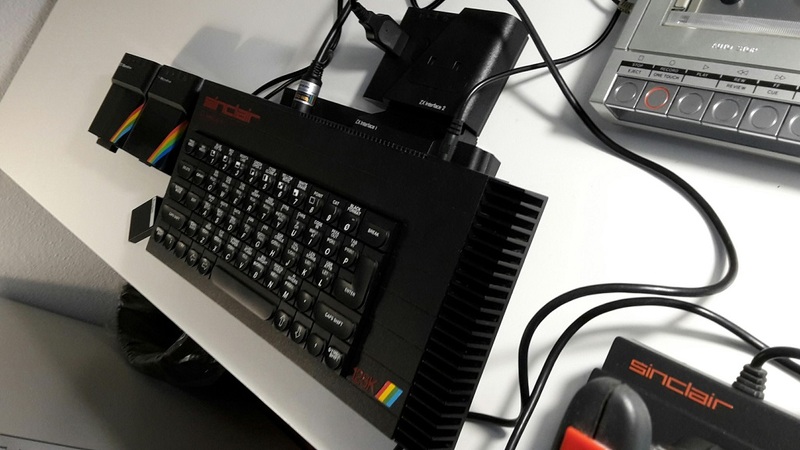 Wow, I never experienced a ZX Spectrum with such a „rich“ sound and noise capacity. Impressing! 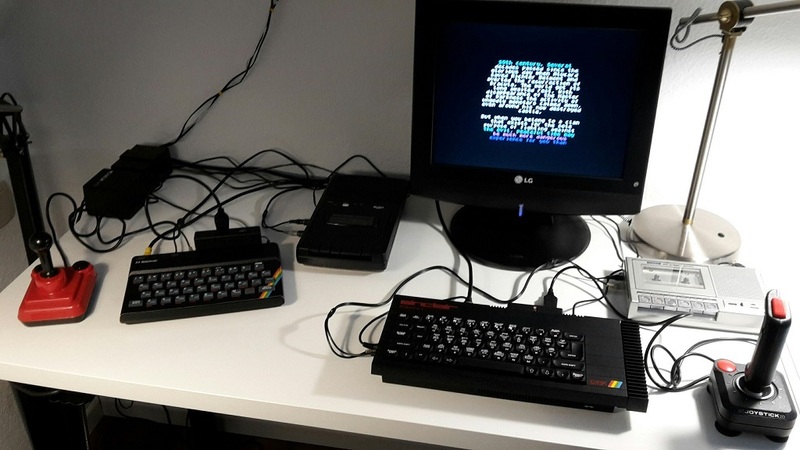 Quick tests with a ZX Interface 1/ZX Interface 2/ZX Microdrive/vDriveZX and divMMC Future setups ran smooth. Until the arrival of my ZX Spectrum Next this should be my main Sinclair play ground. Especially the 128 world needs to be explored. A lot of fun ahead!